Addiction to prescription drugs has been on the rise in the U.K. for years and is now reaching problematic and epidemic levels. Many have thought that since it was a medication prescribed by a doctor, that it was ok to take as much as you want as long as you want. Most people start on opioid medication after medical prescription to assist with pain relief, and these medications are generally only prescribed for a limited time period due to their addictive properties. When the prescribed period has been reached, and the highly addictive properties have impacted on the sufferer, they might purchase or obtain from illicit sources or seek out other ways of obtaining the medication. This may inadvertently cause them to fall into the cycle of addiction. The withdrawals from opioids can be highly uncomfortable and painful, and individuals struggle badly in coping with kicking their addiction to prescription drugs and continually relapse before seeking professional help and treatment. Drug addiction of all kinds is a disease that is harming thousands upon thousands in the UK and costing the country millions in hospitalisations from the damage done to their minds and bodies as well as accidents and lost wages from not being able to make it to work. Over 128,000 were arrested for drug-related offences in the UK in 2017, many from seeking alternatives to the drugs their doctors will no longer prescribe. Over 330,000 people that were high-risk opioid users both taking large amounts of opioids on a regular basis putting their health in jeopardy. And over 142,000 were participating in an opioid substitution treatment programme, taking methadone or some other medication to help replace and ween them off prescription drugs like opioids. In short, substance abuse is still a problem that must be faced by many. Substance use disorder is the medical term for drug addiction, although it is a broad term that encompasses all types of substances including addiction to prescription drugs. One of the major factors involved in the diagnosis of substance use disorder is if the user is interfering with basic aspects of life, like being a family member, going to work, attending church, or even more basic, showering and self-care. Another factor is increased use or uses even when the person does not want to take the prescription drugs anymore. The person with the addiction to prescription drugs will eventually require more and more of the substance to get the same feeling, which is called tolerance. It is vital to seek help and drug rehab before it is too late. Depending on the drugs taken, this can cause all manner of health and mental problems, including cardiovascular disease, neurological problems, brain damage, depression, anxiety, coma and death. The sooner that a person seeks prescription drug treatment, the less this risk and more importantly, the faster the relief from the suffering of substance abuse. We are here to help you overcome your addiction to prescription drugs. With our drug rehab facilities and continuum of care, we can provide fast, individualised substance abuse intervention. We cover treatment from detox, to primary treatment, to aftercare, and most importantly, with all our facilities, we can get you in almost immediately. So, after you make that first contact with our trained staff, we will be working to get you into treatment within the next 24 hours. We know it is important to get you help when you reach out for it, and not a week later. Any type of prescription drug addiction treatment starts with an assessment first. The team at our facilities needs to understand how bad your addiction is, and how necessary your prescription medications are. While there may be an addiction going on, the drugs may have been initially prescribed for a genuine reason. We need to understand that, and what we need to do to help you detox and to treat your addiction to prescription drugs. The next step of detox is stabilisation. Some prescription drugs cannot be stopped “cold turkey” without serious risks to health, and some may have uncomfortable side effects, either requiring medical supervision. Our clinic’s trained and compassionate treatment team will be there every step of the way for you and will use the latest the latest medical knowledge as well as supplementary medications as well as basic vitamins and nutrition to help you detox from prescription drug addiction. The final step of detox would be transitioning. We use the term transitioning in addiction treatment when you move from one level of care, like detox, to another level of care, like residential primary substance abuse treatment. Our teams work together to help ensure the continuity of care you need to helpfully overcome your addiction to prescription drugs. Detox is available as a sole service, but we strongly encourage people that come to detox to seek ongoing treatment for their drug problem. There are many possible complications that come from drug abuse, so staying in rehab longer will help us address them with you. How Long Do You Need to Be Treated? Treatment for prescription drug addiction can last anywhere from a few weeks to a few months. This depends on you as an individual, what started you on prescription medication and what turned that into an addiction. Most people abuse prescription drugs to cope with an underlying physical or mental illness, and our aim in treatment is to help you healthily manage that underlying problem, without reliance on dangerous prescriptions that can lead to addiction. Your treatment will be tailored to your needs and strengths and can last from weeks to months in residential programmes, but the fight against addiction will be one that is years long, and we will be with you as long as you need. You likely did not become addicted to your prescription medication overnight, it took time, likely years, so it will take years to overcome the addiction, and live a full and healthy lifestyle without the need for substances. ADD Medication – Drugs that help control ADD/ADHD which act as a stimulant. This includes Ritalin and Adderall. Prescription drugs can be lifesaving and help people with otherwise debilitating conditions live meaningful lives. They can also be the cause of abuse and addiction that limits and damages a person’s mental and physical health. If you or a loved one are struggling with a dependence on prescription medication, or feel like you are addicted, please contact us immediately. Compassionate and trained staff are available to talk with you right now and help you take the first step into treatment and away from addiction. What will help temazepam withdrawal? Certain medications can help to lessen the severity of a temazepam withdrawal. Substituting your medication for a longer-acting benzodiazepine such as diazepam might help to prevent certain withdrawal symptoms from occurring. There may also be medication or nutritional supplements that will help to ease the symptoms that you experience, such as anxiety or aches and pains. 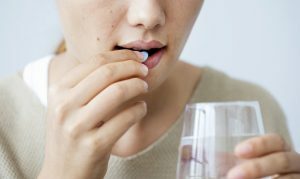 What happens if you mix temazepam (restoril) with other drugs? Some people may mix a “downer” like Restoril with an “upper,” or central nervous system stimulant, like cocaine or methamphetamine. Using a stimulant and depressant together can be dangerous. This combination pulls a person’s body in two different directions, an effect that could cause profound stress on the heart and other important functions. This may cause a person not to realize how intoxicated they are, bringing them to use more of the other substance. Doing so could cause overdose.